SPC is considering establishing a Belt & Road International Commercial Court (literally “Tribunal”) (“一带一路”国际商事法庭). 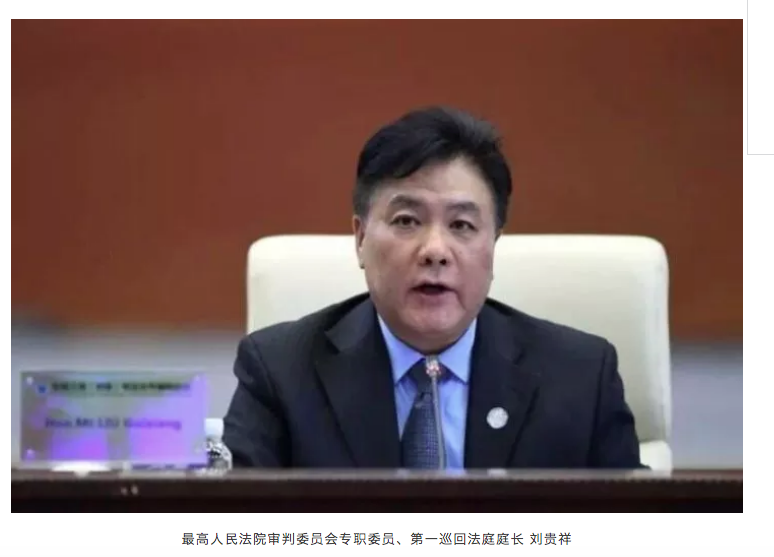 (chief of the SPC’s #4 Civil Division, Judge Zhang Yongjian, must have been speaking of this when he was interviewed during the 2017 National People’s Congress meeting). A recent decision by a Wuhan court to enforce a California default judgment has received worldwide attention, both professional and academic. with some noting nothing had really changed and Professor Donald Clarke correctly wondering whether an instruction had come from on high. With this news from Judge Liu, it is clear that the Wuhan decision is part of the Chinese courts’ rethink of its approach to recognizing and enforcing foreign court judgments. Judge Liu revealed that the judicial interpretation will set out details regarding the meaning of “reciprocity” and standards for applying it (明确互惠原则具体适用的标准). In another recent article, an SPC judge considered the matter of reciprocity in more detail. Among the issues she mentioned were: 1) China not being a party to the Hague Convention on the Choice of Courts (this obstacle has been removed as China signed the Convention on 12 September 2017 (this article has a good overview); 2) China should actively participate in the drafting of the Hague Convention on the Recognition & Enforcement of Foreign Judgments (this seems to be happening, as this blog has reported). The SPC judge recognized that the current Chinese position has significant limitations and can lead to a great deal of parallel litigation (see Professor Vivienne Bath‘s scholarship on this). The SPC judge also suggested that the standards set out in mutual judicial assistance agreements could be useful in drafting standards for reviewing the recognition and enforcement of foreign judgments. Judge Liu also mentioned that the SPC would establish a Belt & Road dispute resolution mechanism and that the SPC was considering a Belt & Road commercial tribunal, to provide the parties of OBOR countries with fair, efficient, and low-cost one-stop legal services. It is clear from discrete developments that the SPC is looking to Singapore’s International Commercial Court and the Dubai’s International Finance Centre Courts (DIFC). 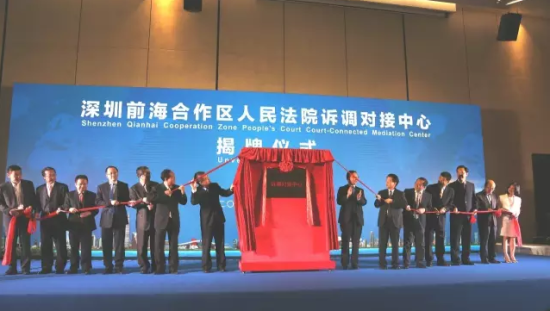 One of those discrete developments is the cooperation agreement that the Shanghai Higher People’s Court and Dubai International Finance Centre Court signed in October 2016 (reported here), which must have required the concurrence of the SPC. The other discrete development is the memorandum of understanding on legal and judicial cooperation between the SPC and Singapore Supreme Court, signed in August 2017, relating to mutual recognition and enforcement of monetary judgments, judicial training for judges, and the Belt & Road initiative. The details of the SPC’s Belt & Road commercial court (tribunal) are yet unclear. Both the DIFC and Singapore International Commercial Court have a panel of international judges, but a similar institution in China would be inconsistent with Chinese legislation. The SPC is clearly interested in promoting mediation to resolve Belt & Road disputes. This interest is visible from the September 2017 International Mediation conference in Hangzhou, at which Judge Long Fei, director of one of the sections in the SPC’s Judicial Reform Office, spoke on the benefits of international commercial mediation. Perhaps the SPC envisions an institution analogous to the Asian Infrastructure Investment Bank and plans to cooperate more on resolving Belt & Road commercial disputes with UNCITRAL and other international organizations. We will need to see how this further develops. It is also unclear whether the SPC will issue a draft judicial interpretation or draft regulations on the Belt & Road dispute resolution center for public comment. 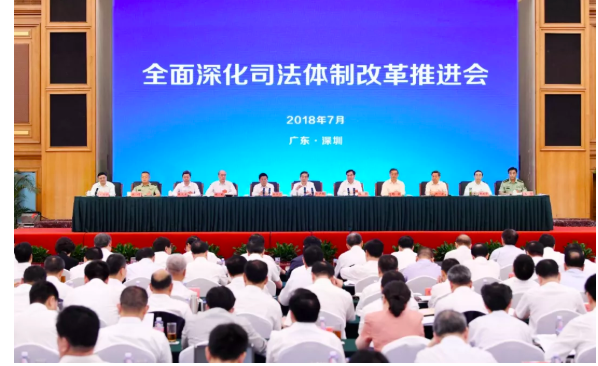 Although President Zhou Qiang and Executive Vice President Shen Deyong speak of the benefits of judicial transparency, it seems the benefits of public participation in judicial interpretation drafting /rule-making have yet to be fully realized. On 29 June 2016, the Supreme People’s Court (SPC) issued a policy document on diversified dispute resolution (Opinion on the people’s courts more deeply reforming the diversified dispute resolution mechanism) (Diversified Dispute Resolution Opinion)(关于人民法院进一步深化多元化纠纷解决机制改革的意见). The document uses the term “diversified dispute resolution” (consistent with Chinese practice) rather than “alternative dispute resolution” (more often used outside of China) to reflect the central place of mediation, arbitration, and conciliation in Chinese dispute resolution. (This updated version reflects comments by an authoritative person (and a very careful reader). It was accompanied by regulations on court-appointed mediators. For those interested in the way the SPC works, it is another example of an SPC policy document in the form of an “opinion” (discussed here) accompanied by regulations (a type of judicial interpretation, discussed here). The policy document sets out in a consolidated form the SPC’s latest policies on mediation, arbitration, and its relationship with litigation. It provides a framework for further reforms. It is intended to inform the lower courts as well as related Party/government agencies of forthcoming reforms. It signals to the central leadership that the SPC is on course to achieve one of the reform targets set out in the 4th Court Reform Plan. The current head of the SPC’s judicial reform office, Judge Hu Shihao, spoke at the press conference announcing the Diversified Dispute Resolution Opinion, indicating that the office took the lead in drafting it. A very useful academic article on diversified dispute resolution, with survey data and more on the political background, can be found (behind a paywall) here. (To the many academics and practitioners who have written on this topic, please feel free to use the comment function or email to expand/contradict, or correct this). 46. Complete diversified dispute resolutions mechanisms.Continue to promote mediation, arbitration, administrative rulings, administrative reconsideration or other dispute settlement mechanisms with an organic link to litigation, mutually coordinate and guide parties to choose an appropriate dispute resolution. Promote the establishment of dispute mechanisms that are industry-specific and specialized in the areas of land requisition and property condemnation, environmental protection, labor protection, health care, traffic accidents, property management, insurance and other areas of dispute, dispute resolution professional organizations, promote the improvement of the arbitration systems and administrative ruling systems. Establish an operating system that links people’s mediation, administrative mediation, industry mediation, commercial mediation, and judicial mediation. Promote the legislative process of a diversified dispute settlement mechanism, establish a system for a systematic and scientific diversified dispute settlement system. The Diversified Dispute Resolution Opinion is a product of the 4th Plenum decision. Its underlying approach was approved by Xi Jinping and other top leaders. Judge Hu, who mentioned at the press conference that at a 2015 meeting, the Leading Small Group on Comprehensive Reform approved a framework policy document (not publicly available) on improving the diversified resolution of disputes (关于完善矛盾纠纷多元化解机制的意见) and the General Offices of the State Council and Central Committee followed with an implementing document. The principal reason that this topic merited top leadership time and involvement is because of its direct links to maintaining social stability and reducing social disputes. Similar to other SPC policy documents discussed on this blog, comments on the draft were sought from the central authorities, lower courts, relevant State Council ministries and commissions, industry association, arbitration organizations, scholars, and the Legislative Affairs Commission of the National People’s Congress Standing Committee. The Diversified Dispute Resolution Opinion was approved by the SPC judicial committee. The objective of the document is to promote a more sophisticated, efficient, and effective approach to dispute resolution that will reduce social tensions. Part of the objective is to reduce the number of cases filed, heard, and tried by courts. For commercial disputes, it is intended to push disputes to institutions that can more competently, efficiently and timely mediate cases. These institutions include those affiliated with industry associations, arbitration commissions, or specialized mediation associations. The Diversified Dispute Resolution Opinion also calls for better mediation of cases within the courts by involving court-annexed mediators, before or after the person or entity files suit. The implications of this document for the reform of labor and rural land contract dispute resolution remain to be seen. The Diversified Dispute Resolution Opinion requires better linkages between other diversified dispute resolution institutions and the courts and particularly stresses the role of mediation. Depending on the type of mediation, it may be done by mediation commissions affiliated with government, people’s mediation committees, arbitration commissions, or other institutions (further information here). One particular issue that is addressed is easing procedures for enforcing mediation agreements by courts. (Because a mediation agreement is a type of contract, it cannot be enforced directly without further procedures, such as being notarized, issued as an arbitration award, or recognized by the courts (through a special procedure under civil procedure law). It emphasizes that the courts can leverage forces outside the judiciary to resolve disputes. The document calls for reasonable borrowing of dispute resolution concepts from abroad. For the foreign investment community (and their lawyers), a signal that the SPC is working on a judicial interpretation concerning the judicial review of foreign and foreign-related arbitral awards (“standardize judicial review procedures for foreign-related and foreign commercial arbitration awards”) (规范涉外和外国商事仲裁裁决司法审查程序). As this blog has reported earlier, this was signaled at the November 2014 National Conference on Foreign-related Commercial and Maritime Adjudication and last year’s One Belt One Road Opinion. It is unclear whether the future interpretation will change the prior reporting procedure, for example, to give parties a chance to submit arguments orally or in writing, or whether it is intended to consolidate the principles the SPC sets out in its responses to lower courts (released to the public in one of the SPC’s publications), summarized in comprehensive overviews of Chinese arbitration law, such as this one. Changes to labor dispute resolution, as highlighted by the 2015 Central Committee/State Council document mentioned earlier. This is important in light of the uncertain economy and increasing number of workers being made redundant. in recent years, judges in different areas of China have published devastating criticism of the current labor arbitration system and labor dispute resolution generally. The judges pointed out the current labor arbitration system is not independent of the government, fails to protect labor interests equally, and . The judges also criticize the brief statute of limitations in labor disputes and lack of a specialized labor tribunal. It appears from reports that Zhejiang Province is taking the lead in providing greater choices and professionalism in labor dispute resolution, but it unclear how far those reforms go. Further attention to rural land arbitration.The Diversified Dispute Resolution Opinion mentions better linkages between the courts and rural land arbitration. This area is important, as the government seeks to encourage farmers to expand their landholdings and mortgage their land, but the merits of the system are not the SPC’s issue. A 2014 report highlights the lack of independence of these arbitration commissions, lack of arbitrators, and absence of qualified arbitrators. A 2016 paper by several China Banking Regulatory Commission staff on the mortgage of rural land notes that those arbitration commissions need improving. Improvements to administrative dispute resolution procedures.